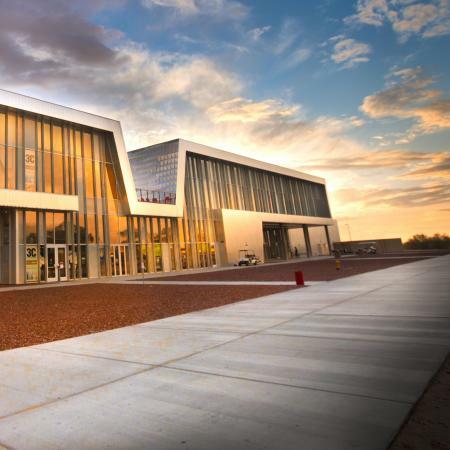 Arizona Western College (AWC) is one of the most searched for colleges in America, according to a recent internet keyword search of basic two and four year colleges. Arizona Western is a public, two year community college, established in 1963 and located in Yuma, Arizona. The school is fully accredited by the Higher Learning Commission. Arizona Western has an academic population of approximately 7,700 enrolled students during the school year. Roughly one third of these students are enrolled full time, while two thirds are enrolled part time. About 97 percent of the students attending Arizona Western are residents of Arizona. The other three percent (about 230 students) are from Alabama, Arkansas, California, Georgia, Missouri, Nebraska New Mexico, New York, Ohio, Rhode Island, Texas, Virginia, and Washington. Notable grads of Arizona Western include numerous pro athletes such as Leonard Thompson, Crawford Ker, Rafael Araujo, Bengie Molina, Sergio Romo, and Nate Archibald. Scroll down for the answers to some frequently asked questions about Arizona Western. 1. Where is Arizona Western College? The main campus of Arizona Western is located in Yuma, Arizona. Conveniently, the school also teaches classes in Parker, Quartzite, San Luis, Somerton, and Wellton. See the exact address and contact information at the bottom of this page. 2. What courses and programs are offered at Arizona Western College? 3. What types of certificates and degrees are available at Arizona Western College? The successful completion of any of the above programs will earn the student either an occupational Certificate or an Associate's Degree. Students working toward their bachelor's degrees can often transfer credits from courses taken at Arizona Western. Even some occupational certificates can possibly be used as transfer credits toward a degree from a university or a four year college. 4. Who should attend Arizona Western College? Arizona Western College is a good fit for Arizona residents who prefer a quieter atmosphere, especially if they live in or around the city of Yuma. Low and middle income students who are working toward university degrees can save a lot of money on their post secondary educations, if they first attend a two year college like Arizona Western. From Arizona Western, students can transfer to four year colleges starting in their junior years, and still earn the same university degree they would have earned if they had entered the university as freshmen. It is easy to transfer credits from Arizona Western College to your choice of Arizona State University, Northern Arizona University, or University of Arizona. Arizona Western also features a number of occupational certificate programs, which allow graduates to either find employment or improve their skills at existing places of employment, which might result in a raise. This particular college is also especially suitable for people who are interested in studying solar power. 5. Why attend Arizona Western College? The two most popular reasons for attending a two year college are convenience and financial necessity. Other benefits of two year colleges include a lighter schedule, academic flexibility, and a generally more peaceful environment. Arizona Western College offers more than 100 different degrees and certifications. The college also features flexible scheduling, workforce development, affordable tuition, and other desirable perks. They even have on-campus housing, which is rare for a community college campus in America. Community colleges are also more accessible than universities. Community colleges are everywhere. 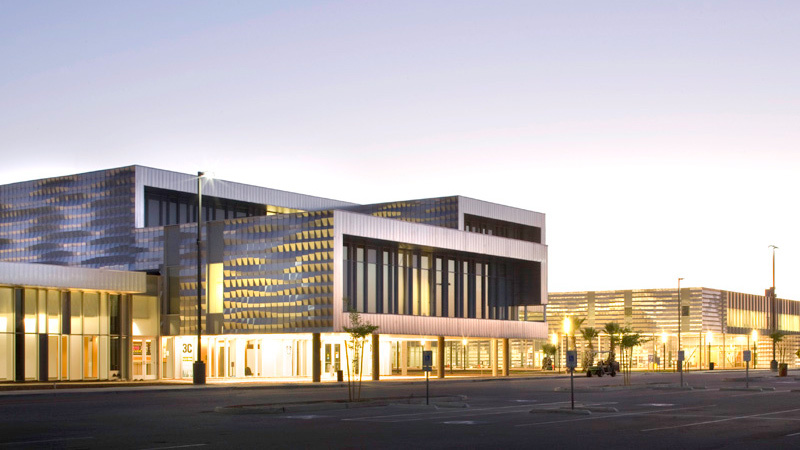 Even if it happens that Arizona Western, with all of its campuses and courses and housing, isn't quite right for you, other nearby two year colleges include Mohave Community College, which maintains campuses in Bullhead City, Kingman, Lake Havasu City, and North Mohave. 6. How much does it cost to attend Arizona Western College? According to the AWC website, the tuition to attend Arizona Western changes every summer. Currently, this school charges $82 per credit hour for Arizona residents, and $92 per credit hour for out of state residents. A typical class at Arizona Western is worth three or four credits, but credits can vary. Arizona Western offers a 10 percent discount to seniors over the age of 59. For students under the age of 18, the fee is only $25 per credit hour. The rent for the residence hall is $1,120 per semester for a shared room, or $1,680 per semester for a private room. A residence hall deposit of $100 is required to reserve your space. Child care services are offered at anywhere from $126 to $155 per week, per child, depending on the age of the child. Visitor child care is $6 an hour. Other fees and deposits may also apply. Visit the AWC website for details. Tuition and fees at Arizona Western can be paid by cash, credit card, debit card, cashier's check, or money order. 7. How long does it take to earn a degree or certificate at Arizona Western College? In most cases, it takes one to two years of successful full time enrollment at Arizona Western to earn an occupational certificate, and usually two years to earn an Associate's degree. However, you can alternately choose to enroll at Arizona Western as a part time student. If it suits your lifestyle, take on fewer credits per semester and take longer to get your degree. Or you can speed up the pace by attending classes overtime, thereby earning your degree sooner. 8. What is the Arizona Western College campus like? 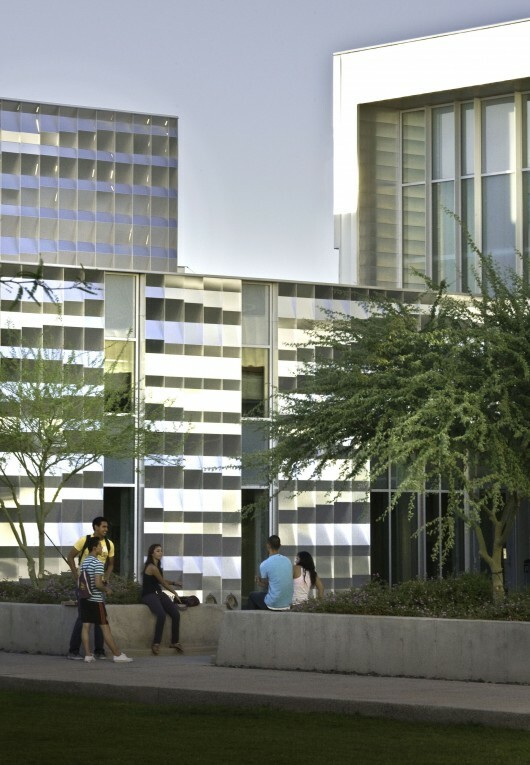 The campus of Arizona Western features many fine examples of soothing modern architecture. Campus conveniences include a Starbucks coffee shop. This college is one of the few community colleges in the United States to offer on-campus housing. The main campus of Arizona Western has three residence buildings that can house approximately 350 students. Student activities on the Arizona Western campus include at least four dozen student organizations such as a math club, a music club, a chess club, a cooking club, a school newspaper, and a radio station, as well as an array of team sports. 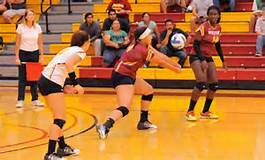 The athletic teams at Arizona Western are known as the Matadors. The school colors are cardinal and gold. 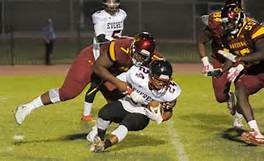 Teams at Arizona Western compete in the National Junior College Athletic Association (NJCAA), the Arizona Community College Athletic Conference (ACCAC), and the Western States Football League (WSFL). Sports going on at the Arizona Western campus include baseball, football, basketball, and soccer. For women, they also include softball and volleyball. 9. What is the Arizona Western College neighborhood like? Within walking distance of the Arizona Western campus in Yuma is the campus of Northern Arizona University. Other than that, for all practical purposes, the Arizona Western campus is the neighborhood. The surrounding area is mostly desert. 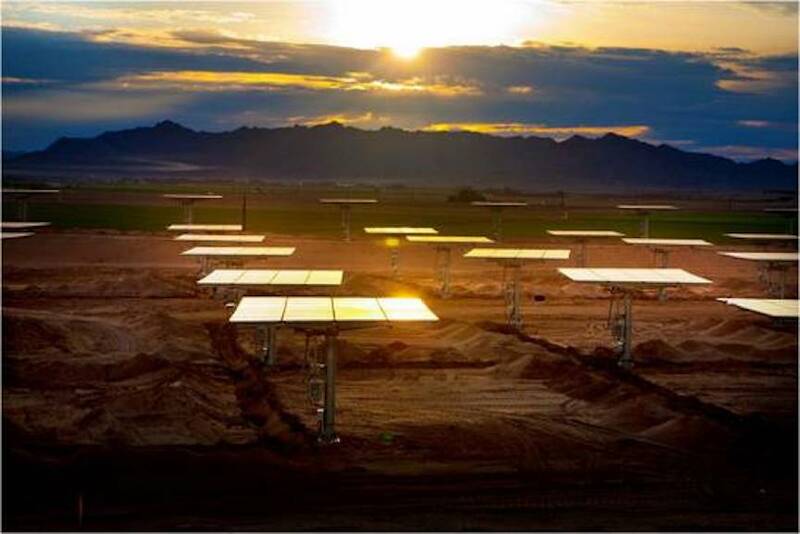 But if you like deserts and studying solar energy, AWC may be just the right place for you. 10. Does Arizona Western College offer distance learning? Yes. For an extra $25 fee per course, students of Arizona Western can take their college courses online. The online courses are approximately the same as the classroom courses, as they cost the same fee per credit, they cover the same material, and they result in the same certificate or degree. Click here for More Than 50 Top Online Colleges. 11. What is the contact information for Arizona Western College? You can reach the campus of Arizona Western College by calling 928-317-6000. Or you can fax the Arizona Western campus at 928-344-7543.